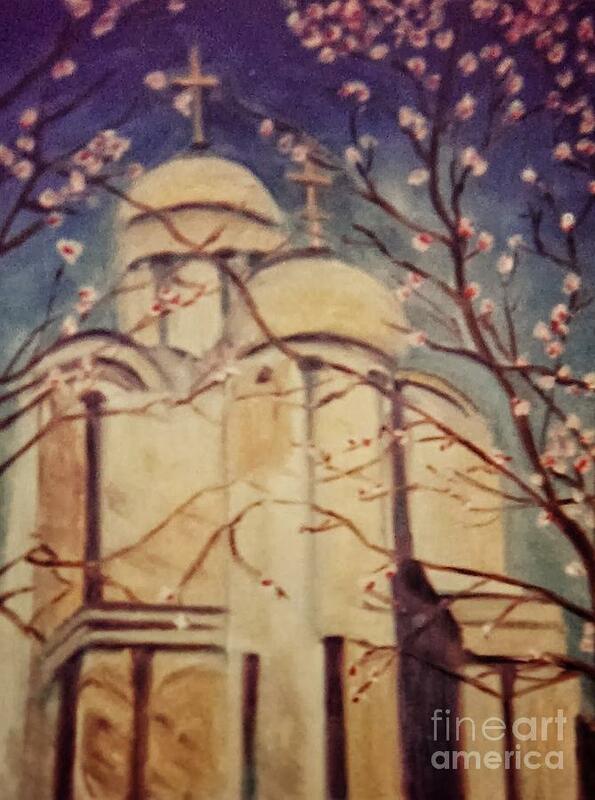 Cathedral At Springtime is a painting by Karen Francis which was uploaded on February 4th, 2014. 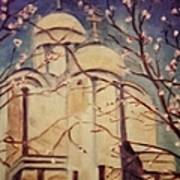 An exterior view of the Orthodox Cathedral of Washington DC in the springtime with blossoms starting to bloom. The interior of this place of worship contains many painted icons of saints. The original oil on canvas painted by Karen Francis is in a collection. Prints in a variety of sizes and formats may be obtained from publisher fineartamerica.com from their secure online shopping cart by credit card or Pay Pal. Various art products such as spiral notebooks, tee shirts, throw pillows, coffee mugs, also come with this image. Each print comes with a 30 day money back satisfaction guarantee. All prints are custom printed. 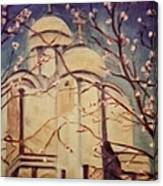 While the original painting is already in a collection, your order may well be the first of any art product line. There are no comments for Cathedral At Springtime. Click here to post the first comment.